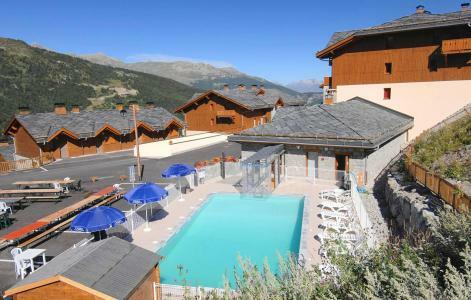 For successful summer holidays in the mountains, book your accommodation to Valmeinier in Northern Alps massive, Savoie. This mountain resort will offer you exceptionnal areas and surprising landscapes. Your summer accommodation to Valmeinier will be for you a moment of wellness in the heart of a beautiful nature and you will spend holidays in wide open spaces. Our moutain offers will make you live warm emotions with all your family. We propose you quality holidays accommodation in all French massives, in the heart of mountains. 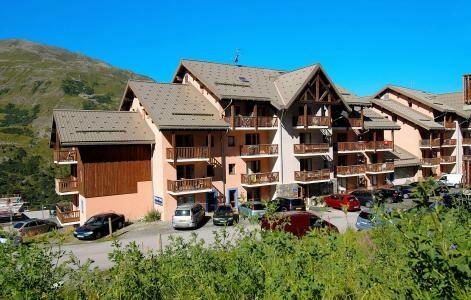 We have many residences to rent for your summer to Valmeinier. Let yourself be carried by a feeling of happiness, enjoy the summer holidays in the mountains full of sun and discoveries ! 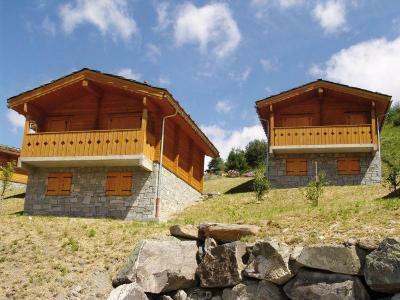 A new residence of two traditional Alpine 3 storey chalets. The apartments are fully equipped. At your disposal : outdoor heated swimming-pool in summer, free outdoor car park. 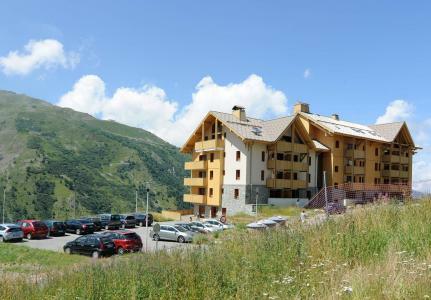 Located in "La Saussette" quarter (clause to Valmeinier 1800), the residence" Le Grand Panorama " is comprised of 116 lodgings including 43 chalets. All apartments have living room with eating corner, a fully equipped kitchen corner with dishwasher, bathroom, WC and a balcony. 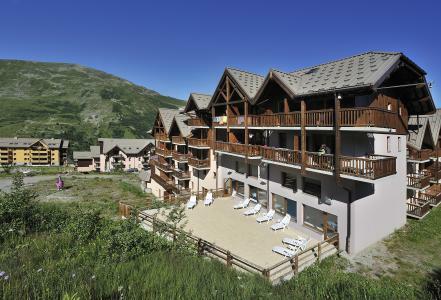 The residence l'Ours Blanc is located at the entrance of the resort, close to the shops. At your disposal : free outside car park. 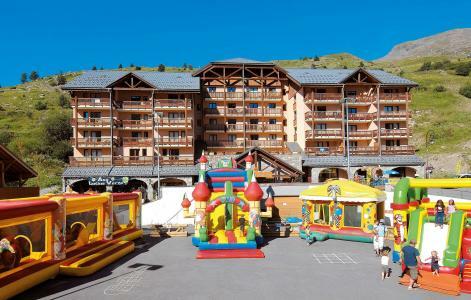 Residence Le Grand Panorama 1 is located at the entrance of Valmeinier resort, about 800 m from the center. 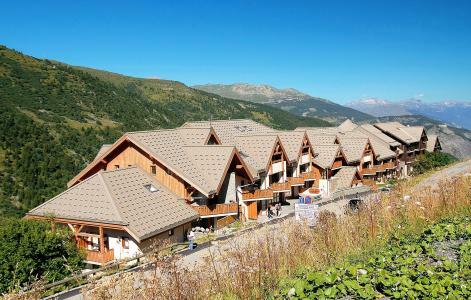 115 apartments are located in chalets joined, dressed of stone and timber: 6 individual chalets, 5 chalets of 3 or 4 apartments and 4 buildings of 20 to 30 apartments. The residence has a heated outdoor pool 6 X 12 meters and a sauna (with suplement). The Vermont complex is one of the most attractive buildings in Valmeinier. Boasting a traditional wood and stone facade, it is situated in the high altitude resort of Valmeinier 1800, not far from children's play area and local shops. This fantastic development offers : reception area with stone fireplace, lift, spa area with a sauna and whirlpool, basement parking, a laundry with washing machines and tumble dryers (for a supplement) and disabled access. Close to the heart of the resort, the residence (with lift) offers several types of appartements from the 2 rooms cabin 5/6 people to the 3 rooms duplex 6/7 people fully equipped.